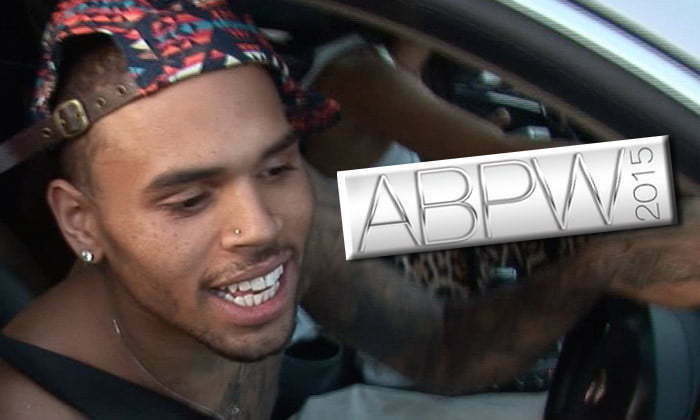 Chris Brown is making it clear that he don’t have any issues with the gay community despite TMZ reporting that he was booked for a Black Gay Pride Weekend concert in Atlanta and was a no show. 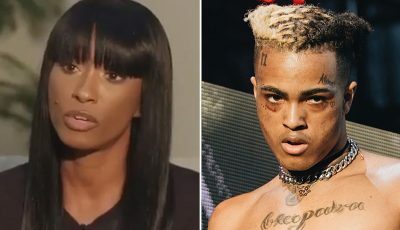 The celebrity gossip blog reported that Brown has settled with promoters of the gig after he did not turn up for the performance. 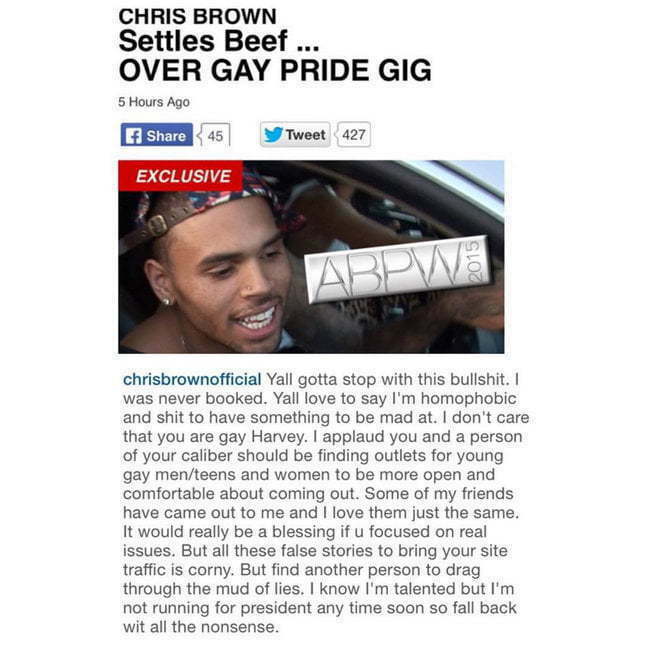 Breezy immediately took to his Instagram page to dismiss the report while also calling out TMZ owner Harvey Levin. Chris Brown won joint custody of his daughter Royalty in a Houston court last Friday paving the way for a father daughter reunion. The “Loyal” singer took the toddler on stage with him during his concert at Isleta Amphitheatre in Albuquerque on Saturday night.